Can love make a difference this year? Until we trip over the sins and shortcomings that make relationships hard. Until the kids are screaming in the grocery store. Until misunderstandings and irritations weave in and out of relationships with harsh words and snippy retorts. Until rejection or betrayal kicks us in the gut, leaving us floundering for solid ground in a sea of emotion. 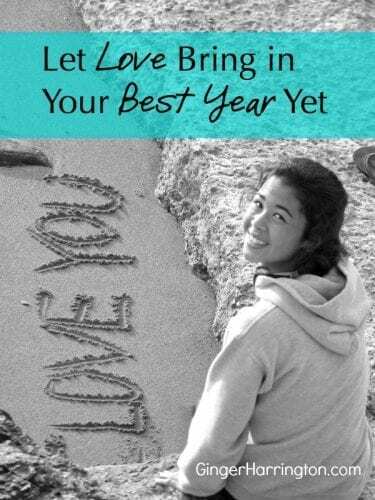 How can love bring in our best year yet? What we do is far more powerful that what we say. Maybe this is why the word love is almost cliche’ in modern culture–too much talking and not enough real loving. 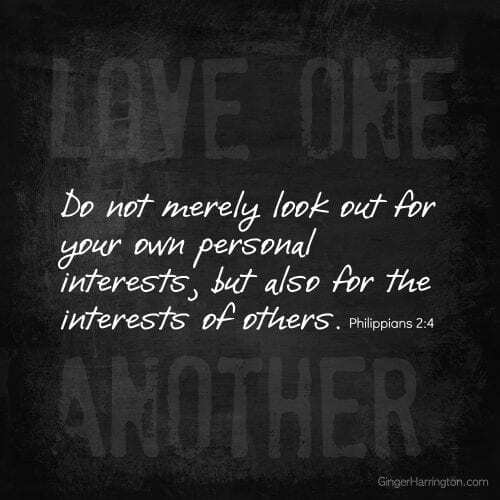 Too much hype on romance and not enough unselfish giving. And yet, love is our greatest need and our bravest quest. “Love me” is the cry of every heart that beats. “Am I loved? Am I worth loving?” These are the questions that plague us in the dark of the night and on the days that ache with loneliness. Love is a thermometer revealing the condition of our souls, where we really are as followers of Christ. If we have a patience problem, we have a love problem. If bitterness lurks behind a false smile, we have a lack of love. Love is the acid test of authenticity. Not perfection, but authenticity. 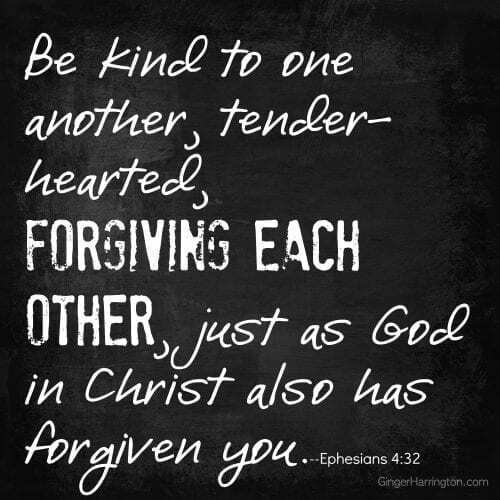 Do we have loving relationships that are deep enough, candid enough to confess our sins to one another? Do we know one another well enough to know the needs of the soul and the frailty of the body? How many times have we not wanted to “bother” someone by asking for prayer? Prayer comes generously and naturally when we love one another. 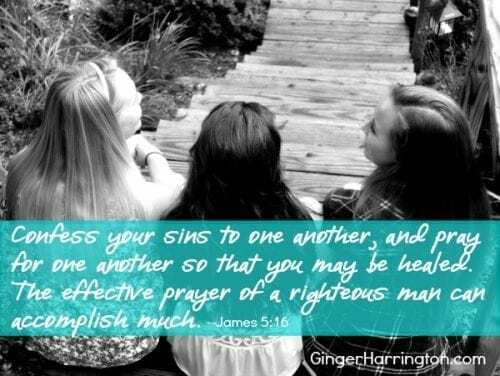 Prayer is a vibrant and real aspect that marks the relationships of friends who follow Jesus. Confessing our sins and admitting our faults doesn’t come easy. Yet when we have a relationship securely anchored with love, we can let down our guard. We can put aside our pretending, the empty smiles we hide behind, and we can be real with one another. Vulnerability with our problems comes easier in the warm embrace of a loving, accepting friendship. When love is present, we can risk confessing the hard issues we struggle with. The selfish words we’ve spoken. The prideful attitudes that erode our service. The addictions and indulgences that leave us stuck. The soul comes out of the shadows of the fear of rejection, of being “found out.” This is the blessing of love that gets real enough to confess our hard things. Real enough to pray with a heart to lovingly come along side our shaky steps. We need deep and transparent relationships with a few trustworthy friends who will pray, encourage, and support. Life has some really hard days when we need that loving friend who will listen and pray without judging, fixing, or correcting. These are the friends we want to have. This is the kind of friend we need to be. Receiving the love of Christ frees us to love one another. God doesn’t need us to fix one another, yet how easy it is to respond with our answers and corrections rather than a love that listens and prays. This is the prayer that accomplishes so very much. Let’s let love make this our best year yet. Sharing this post at Coffee for Your Heart. 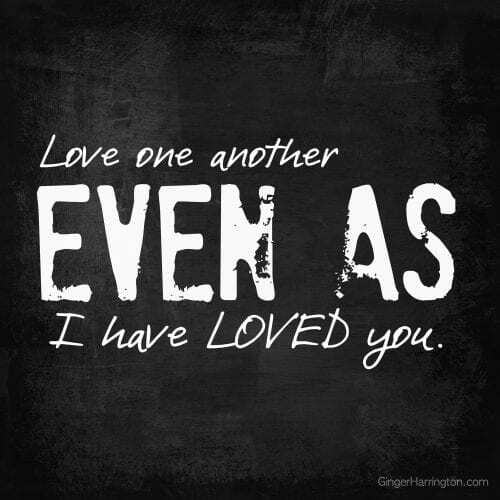 Discipleship, Friendship, James 5:16, John 13:34-35, Love, Love One Another. Bookmark. That’s right ! Love covers a multitude of sins and flaws. Love makes it possible to forgive and overlook. Love is not easy, but God makes it possible. Love your words. Thank you so much. A perfect message for this month where love is being tossed around. Real love is hard ! Yes, it can be a challenge, but also a source of great joy. I’m so grateful for that, it helps on the hard days. Thanks so much for joining me today. Blessings, Danielle.